17th at TPC Sawgrass Stadium Course during 2017 practice round. Last week I asked for your input on golf gear/gadgets/equipment to either review or share opinions with everyone here. The response has been good and expensive! Keep sending them to me either in comments on any of the social media outlets or via email: kevin@buffalosportspage.com. What a performance down the stretch (have to use that for a golf tournament the same weekend as the Kentucky Derby) for Jason Day at The Wells Fargo Championship. He birdied 16 and 17 (a near ace) en route to his second victory of the season. Quail Hollow is not an easy golf course, and the finishing three holes are pretty difficult. The 16th hole was one of the toughest par 4’s I’ve every played BEFORE they renovated it a few years ago. The 17th is very demanding off of the tee due to water all down the left, and a hill to navigate on the right. For Jason Day, picking up his second win on the season (Farmers Insurance Open back in January) is enormous. He’s on a quest to regain the number 1 ranking in the world that he held a few years ago. Injuries and family illness have taken away from his game (understandably), but he has the ability to regain that position. He now heads to The Players with a ton of confidence, and the ability to win at TPC Sawgrass, as he did 2 years ago. The 17th at Quail Hollow is tough, but it’s not the 17th at TPC Sawgrass Stadium Course. You know the hole, it’s famous. The island green is great theatre all week long. If you have not been there, I’ll tell you TV does not do it justice! 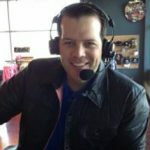 Last year was my first time assigned to work The Players for PGA Tour Radio, and it was a treat. One of the first things I did was head out to 17 to check it out. Wow! Standing on the tee box with the fans, grandstands, and giant video board is an experience. The green looks incredibly small from the tee box, and the levels on the green are tough to notice on television. The front hole location is just a few paces from the front of the green and water. It’s at the bottom of a downslope. The traditional back right hole location is a “no go” zone, which makes Rickie Fowler’s performance in the playoff a few years ago even more impressive. Thank goodness, I didn’t have to hit a shot there! A fellow golfer at Fox Valley Club in Lancaster stopped me in the locker room to tell me the great news, he had a hole-in-one that day! He made it on the 6th hole, a down hill par 3. I said congrats, and then remembered he had one last year too. I said “Wow, that’s 2 now! Awesome!”. He then crushed me with the news, “Actually, it’s my 5th overall”. That’s still awesome, but I quickly became jealous since I don’t have one yet. I’ve done everything you can possibly do to come close to an ace, but haven’t had the luck of the ball finding the bottom. I think if I play more…….that’s my plan at least. The weather has flat out stunk this year (read here), but that hasn’t stopped local members of the GCSAA from doing their work to get us out on the golf course. So, when you see your course Superintendent, thank him or her and staff for the great work they do to have the course ready for play. I need to come up with a name for this column. That will commit me to staying consistent with it every week! The old standards: Chip Shots, Clean Lies, On The Tee, The Clubhouse, The Grill Room……..done before. I’ll think of something, but for now, golf notes (so, original).